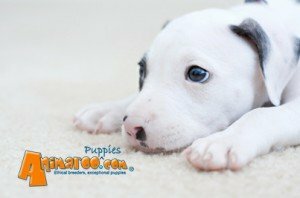 Pitt Bulls - Victims or Dangerous? Pitt Bulls – Victims or Dangerous? The American Society for the Prevention of Cruelty to Animals (ASPCA) is trying to educate the public about pit bulls. The agency reports that pit bulls aren’t vicious monsters. Rather they are dogs that have been bred to fight other dogs. Proponents of the breed insist the dogs are the victims of negative publicity. Breeder and veterinary technician Kellee Smith says they’re wonderful dogs. She states that she’s been attacked by cocker spaniels more than any other breed while on the job. She also notes that she’s never been attacked by a pit bull. Opponents of pit bulls say the statistics don’t lie. Colleen Lynn, founder of Bite.org, which advocates banning pit bull breeding, says that those that think pits are dangerous have a valid point. Lynn believes that they are born dangerous and their temperament does not depend solely on their environment. The ASPCA encourages people to own pit bulls, which in common use refers to a number of related breeds. They warn owners to know the breed, which was originally bred for dog fighting. So in general, the breed may not warn before attacking, are not apt to back down, and have jaws of steel. Being labeled as unpredictably aggressive is a myth in the eyes of the ASPCA. They believe pits can be trained and socialized just like any other breed.